When you google the word “concrete,” you’re met with pages and pages full of the color gray. Many people think that’s the only thing concrete can be—a lifeless, utilitarian material used in basements, garages, and warehouses. If that’s the case for you, then we at Sudlow Concrete are happy to dispel those misconceptions! One way to add visual interest to your concrete is through stamped concrete. Stamped concrete is a perfect option for Atlanta homeowners that want to add an elegant and timeless feel to their outside living space. Concrete is a very versatile substance that can take on a wide variety of colors, patterns, and textures, from red brick to blue slate or even wood planks. It’s the one material that can mimic so many others, while still being durable enough to weather hurricanes, floods, and fire, and support the weight of tractor trailers. 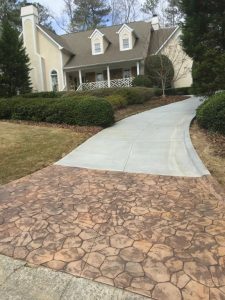 Whether you are considering stamped concrete driveways, patios, or walkways to add a unique touch for your Atlanta home, the professionals at Sudlow Concrete can help transform your concrete and bring your vision to life! 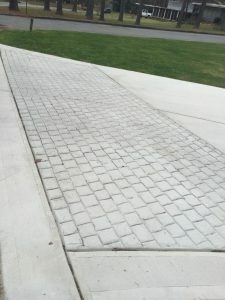 Stamped concrete driveways give homeowners the ability to create patterns in their driveway to emulate popular stone and brick materials in a cost-effective way. 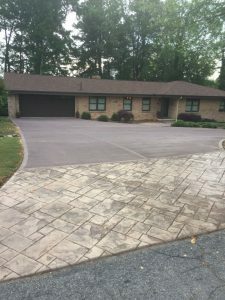 The beautiful patterns and colors you can create with stamped concrete will give your driveway a high-end look and feel without breaking the bank. Concrete is a highly versatile material that allows you to customize with stamped patterns, shapes, and colors to create a durable driveway that looks expensive and also increases the value of your home. 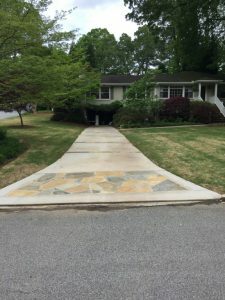 One popular trend in Atlanta is decorative driveway aprons, bands, and borders that are created with stamped patterns, accent stones, or bricks installed in the portion of driveway closest to the curb. Visit our gallery of driveway aprons to get a sense of different stamped concrete patterns and accent designs you could replicate on your driveway. Stamped concrete patios are a perfect way to extend your living space to the outdoors so you can enjoy the beautiful Atlanta weather! Stamped concrete patios give Atlanta homeowners the ability to choose from many decorative options, because the concrete can be poured in many different shapes, sizes, and patterns. Try adding a decorative border to your patio in contrasting stones or patterns to truly give it that unique touch. 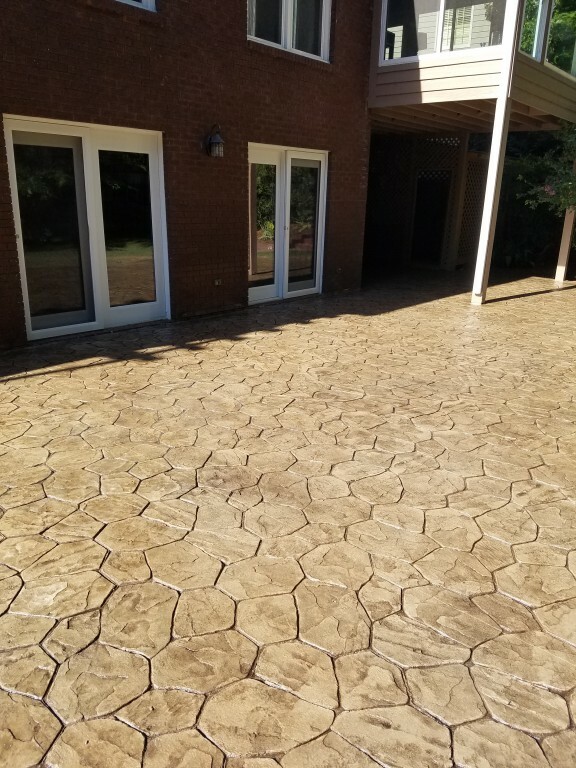 Our experienced professionals at Sudlow Concrete are happy to help design your patio and go through pigment and pattern options to transform your Atlanta home into a true outside getaway. Be sure to visit out our gallery of stamped concrete patios for ideas and inspiration! Concrete walkways and sidewalks are a fabulous way to add curb appeal to your home while providing a comfortable way to walk from your driveway to front door. Although gray concrete is a the most popular surface option for walkways, stamped concrete options offers an affordable way to dress it up with different patterns, borders, and pigments. You can find stamped concrete walkways and decorative sidewalks popping up all over Atlanta. It’s the latest trend in outside landscape design! Check out our gallery of walkways and sidewalks for design ideas. 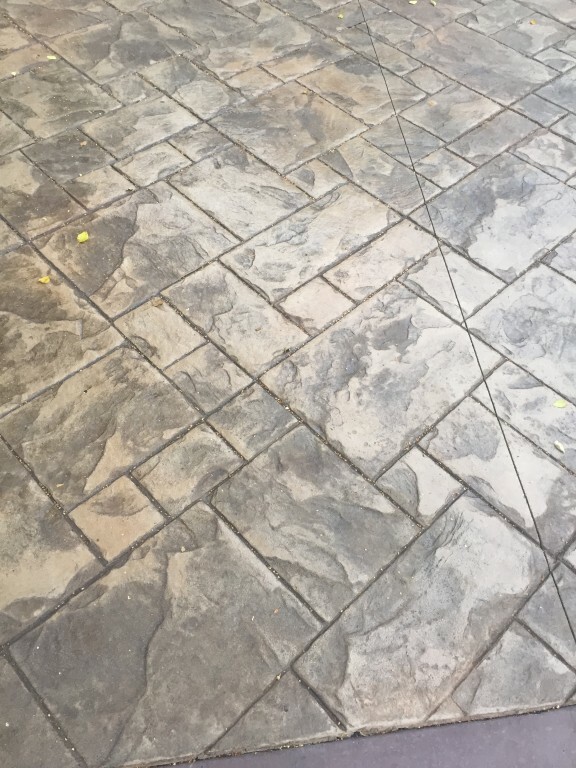 Decorative stamped concrete has the unique ability to combine beauty with functionality, and our team at Sudlow enjoy using it to help our customers reach their home improvement goals without losing personality. However, producing colored stamped concrete is a somewhat delicate process. According to the Research Laboratory of the Portland Cement Association, certain pigments can actually weaken concrete. Fortunately for you, we’ve done the research, and we know which pigments (and what amounts) are safe. Buff, Yellow, Red – Iron oxide pigments. The specific shade of color of the stamped concrete is determined by the water-to-dye ratio. It’s essential that the mixture is made properly, especially if multiple batches of concrete are being used. Improper ratios can result in inconsistent color, which will ruin the look you want to achieve. Sudlow Concrete has over sixteen years of experience in the Atlanta area working with all things concrete, and stamped concrete is no exception. With something as complex as decorative stamped concrete, our expertise is exactly what you need. 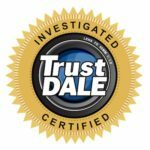 Trust your project to professionals who know what they’re doing: give us a call or fill out our website form to get in touch and discuss your project. 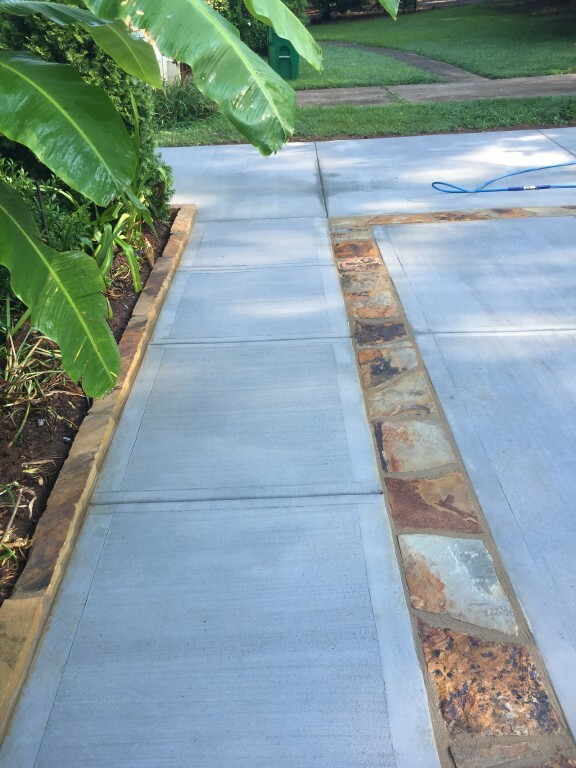 See some of our recent stamped & decorative concrete work! Call today for your free estimate or to talk to one of our concrete professionals.